Our cinéma programme for Institut members is back in full force, screening a new film every Wednesday at 2:00pm and 6:45pm. These events are free, but for members only. We invite you to book early and if you are not yet a member of the Institut français d’Ecosse, we invite you to join. 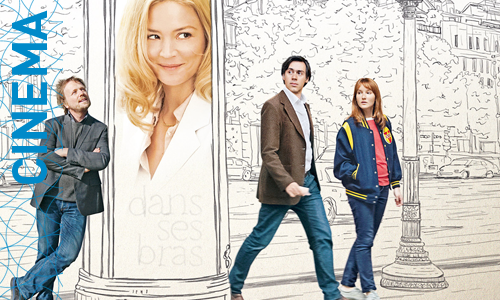 Our film this week is Caprice by Emmanuel Mouret. An average guy meets an actress who is more beautiful than he could ever imagine. But then a pesky girl materializes to make his life a living hell. His perfect girlfriend now thinks that he is involved with this Caprice.